DAVID LE/Staff photo. 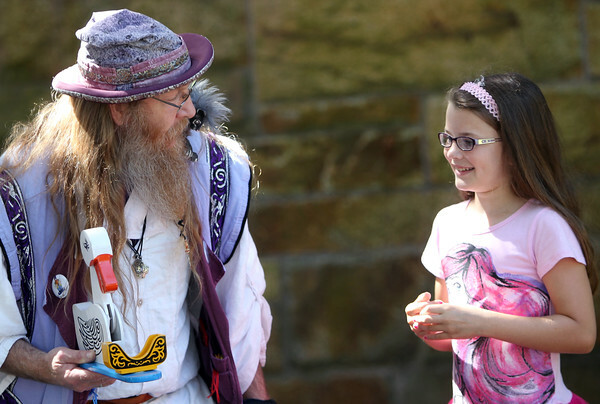 Nine-year-old Natalie Brunner, of Manchester, smiles as "Ed the Wizard" talks with his pet duck during a magic show at the Manchester Public Library on Friday morning. 8/7/15.